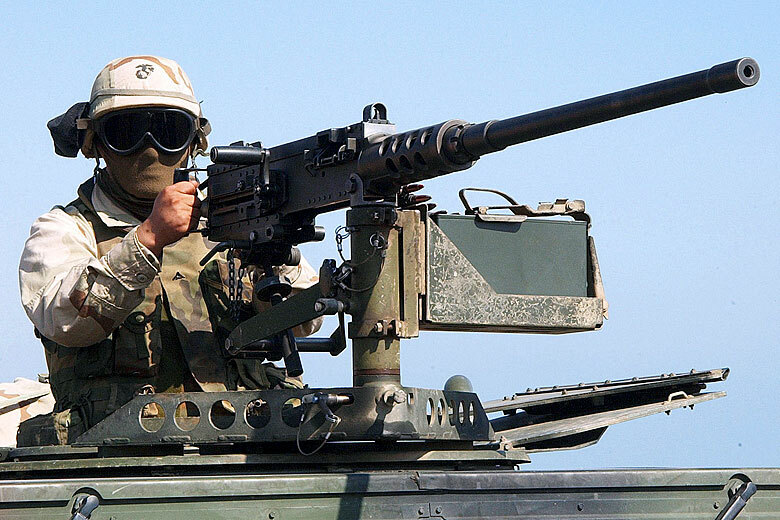 The Browning M2 machine gun is one bad mother of a weapon. It packs a punch that few forget, whether they’re firing it or on the receiving end of the tremendous firepower. Some call the gun the “mother of all machine guns” and G.I.’s during World War II affectionately dubbed it the Ma Deuce. The gun’s official name is the Browning M2 .50 caliber heavy barrel machine gun and it casts a long shadow over U.S. Military history; holding a special place in the hearts of many soldiers. First conceived during World War I, the Browning M2 has been in production since 1933. From then on, it’s made history in the hands of some extraordinary fighting men. A wounded Audie Murphy (one of America’s most decorated soldiers) fired one atop a burning tank destroyer, holding off six Panzer tanks and 250 German soldiers for more than hour during a battle in Eastern France. In fact, this act of bravery won him the Medal of Honor. 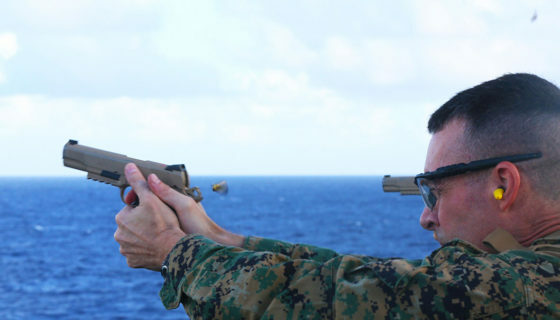 The long-range firepower of the Ma Deuce combined with its single-shot capability provided legendary Marine Corps sniper Carlos Hathcock an unusual, but effective weapon. In 1967, Hathcock mounted a 10x scope on an M2, which he later aimed at a Viet Cong guerilla 2,500 yards away. The nearly one-and-a-half mile shot remained the world record for longest sniper kill until 2002. In 2003, U.S. Army Sgt. 1st Class Paul Ray Smith climbed on top of an armored vehicle and fired the Ma Deuce at more than 100 enemy soldiers that had pinned down his platoon, saving the lives of his men. Killed during the firefight, Smith received the Medal of Honor posthumously, the first awarded in Operation Iraqi Freedom. The widespread use of armor and airplanes during World War I convinced American Expeditionary Force commander Gen. John Pershing that the Army needed a heavy machine gun if it was going to keep pace with other world militaries. Both the French and British possessed large caliber machine guns like the Hotchkiss, but during World War I the U.S. inventory of machine guns only fired rifle-sized calibers. Eventually, American weapons genius John Browning experimented with his existing M1917 .30 caliber machine gun design to develop a heavy machine gun that fired the .50 caliber round. By 1921, the Army adopted an experimental, water-cooled .50 caliber machine gun based on the Browning design that was the “father” of the Ma Deuce. 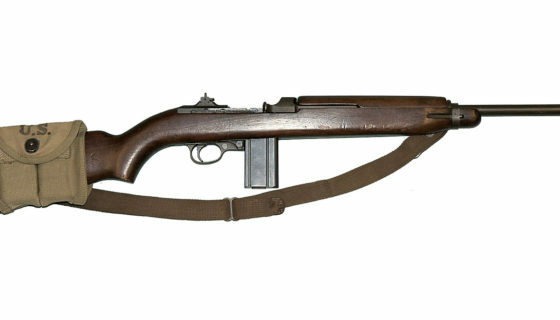 After Browning’s death, other weapons designers corrected flaws in the M1921, such as its lightweight barrel. During the 1930’s, the Colt Company took over production of the weapon, but it was still essentially Browning’s original design and it gained the familiar designation of Browning M2. 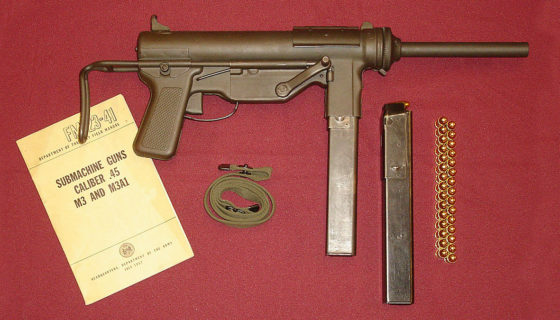 The classic configuration of the Ma Deuce is a belt-fed, air-cooled, recoil-operated machine gun. Its size alone makes it look formidable, at nearly six-feet long and weighing 84 pounds without its tripod. Adding the tripod takes the weight up to a back-breaking 128 pounds. 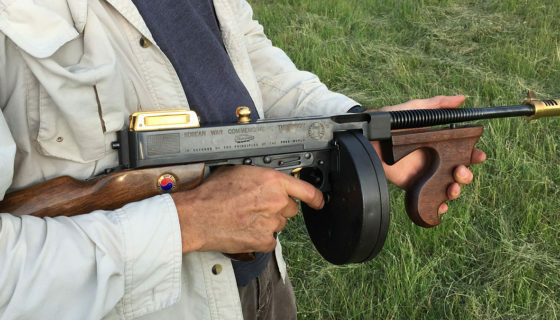 The Ma Deuce fires up to 550 rounds per minute, but it can be set to fire single shots. Because of the weapon’s design, the ammo belt can be fed from either the right or left after a few adjustments to the gun. 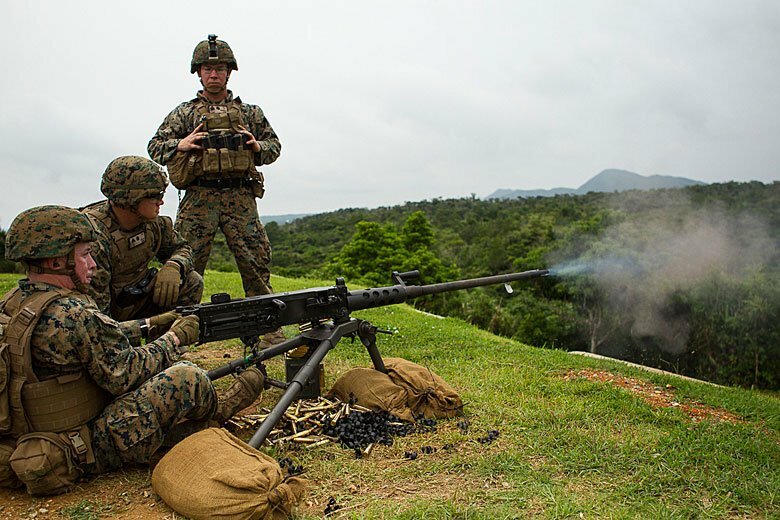 What’s more, the .50-cal has the potential to let the gunner “reach out and touch someone.” The weapon’s effective range is 6,000 feet, but its maximum range is four miles. Both the Army and the Navy loved the M2 and by World War II it was everywhere. The Ma Deuce was mounted on tanks as a coaxial gun, placed in aircrafts to shoot down enemy fighters, mounted on a tripod so G.I.’s and Marines could lay down suppressive and covering fire and placed aboard Naval vessels as an anti-aircraft gun. 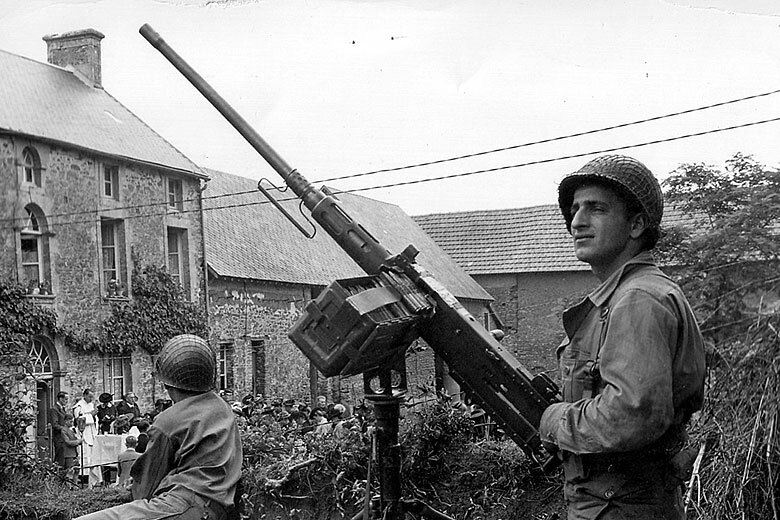 As the war progressed, innovative soldiers discovered the Ma Deuce was a hellishly effective anti-personnel weapon. There was even a holy terror nicknamed “The Kraut Mower,” which was the M45 Quadmount. Originally designed as an anti-aircraft weapon, it was simply four Ma Deuces in an armored housing mounted on a halftrack. The Browning M2 has its weaknesses. If the gun’s barrel overheats, a new barrel needs to be installed on the weapon. The gun will malfunction violently if a barrel change isn’t performed exactly right and the task was often a finicky and time-consuming job. 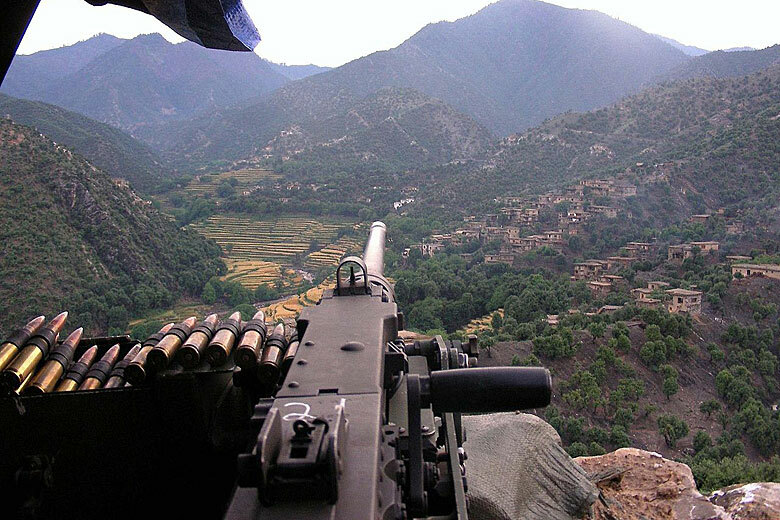 Ma Deuce malfunctions caused by improperly performed barrel changes injured dozens of soldiers in Iraq and Afghanistan before the Pentagon approved adoption of a “quick change” kit in 2012 that allows a barrel replacement without manually resetting the weapon. While the weight and tendency to vibrate the gunner’s body can make the Ma Deuce awkward to use, it’s still an extremely powerful weapon that can dominate any battlefield. The Browning M2 has held its own on battlefields for decades and it shows no signs of stopping any time soon.